I hope your week has been wonderful. It's been a crazy one for me. 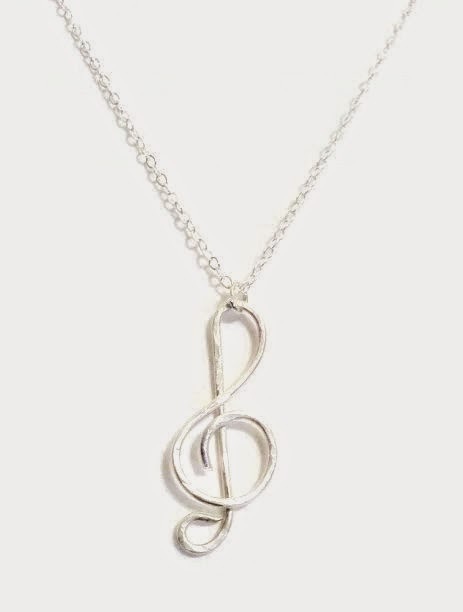 My treble clef necklace made it onto Etsy's trending list so I've been getting many orders for it. Hopefully it continues. I've also been busy working on some new items, some of which have already been added to the shop. Also, coming in January..... Bellissimi Regali! What is that you ask? 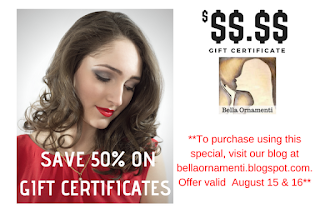 It's a branch of Bellissimi Ornamenti that will focus more on the gifty items and leave the fine jewelry to Bellissimi Ornamenti. More details to follow. This post is short and sweet. But check out my trending necklace while you're here. And 40% off with code CYBERSALE ends tonight!!! Put a little music in your life!